The annual report on the most valuable Chinese brands was released on October 13, 2013, in Paris, France. The report was produced by Ruifu Global Ranking Group and Beijing Famous Brands Property Assessment Co. Despite the ongoing global economic downturn, the 100 Chinese brands investigated have been steadily gathering momentum, with an annual average growth rate of 21 percent. Haier once again tops the ranking, for a 12th consecutive year, with a brand value of 99.23 billion yuan (US$16.27 billion); the second and the third places were obtained by GOME with 71.60 billion yuan (US$11.74 billion) and Wuliangye with 70.16 billion yuan (US$11.50 billion). Here follow the top 10 most valuable Chinese brands of 2013. 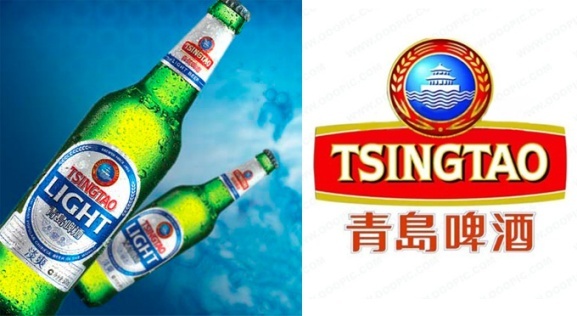 Company: Tsingtao Brewery Co., Ltd.
Headquartered in Qingdao, east China's Shandong Province, the Tsingtao Brewery Co., Ltd. (stock codes: 0168, 600600) was founded in 1903 by German and British merchants. It was an Official Sponsor of the 2008 Beijing Olympic Games. Despite the ongoing global economic downturn, Chinese companies have been gathering momentum.